The City of Atlanta has seen a newfound commitment to fitness, with bootcamps, 5k races, walks, marathons and more happening nearly every week & weekend. Darrell “iAmTheRealDP” Patterson has trained some of the biggest names and brightest stars in the industry and has channeled his entrepreneurial passion and pursuit of results into an all new elite 24 hour training facility called HX Fitness. 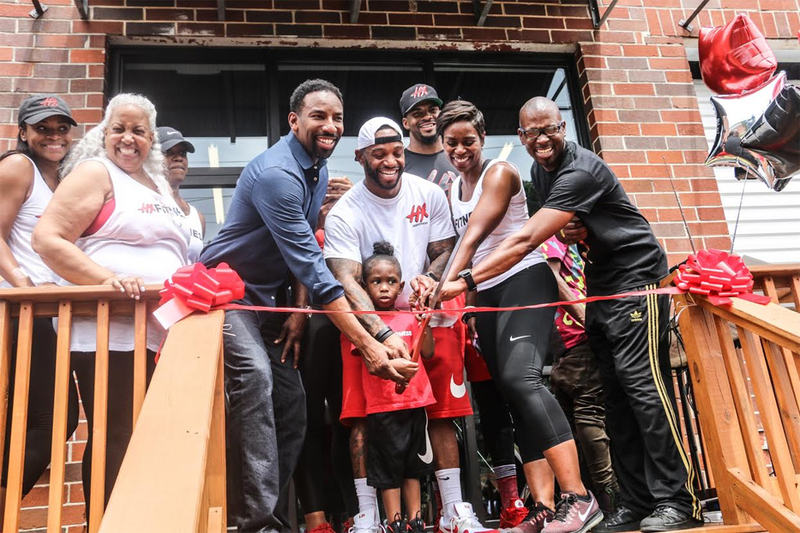 The HX Fitness grand opening weekend was sponsored by World Cryotherapy, a state of the art recovery apparatus that makes HX Fitness one of 2 facilities in the city of Atlanta with this technology. HX Fitness commemorating their grand opening with a complete weekend of celebrations. The weekend began with the HX Fitness VIP Mix & Mingle Jazz Reception on Friday August 25th from 7:30pm – 11:00pm, a private VIP cocktail reception/celebration hosted by Sharon Reed (CBS 46 Anchor) & Jennifer Sutton (Founder – Art Meso International Art & Fashion Exhibition). For this event, HX Fitness members, sponsors, influencers and elected officials enjoyed the sultry sounds of the live Jazz & R&B courtesy of “Elevate the Quest” with complimentary cocktails/beverages (courtesy of MillerCoors & the all new Absolut Lime), complimentary hors d’oeuvres & a signature custom organic salad station (courtesy of the Healthy Habits Chef). The 2nd event was the Official Grand Opening celebration sponsored by World Cryotherapy on August 26th from 10:00am – 2:00pm hosted by HX Fitness owner Darrell “iAmTheRealDP” Patterson and HOT 107.9’s J.Nicks, this event was for the entire family and attendees enjoyed Family Fun, Bounce Houses, Healthy Snacks, a special Ribbon Cutting w/ Atlanta City Councilman Andre Dickens, and a variety of vendors that included: 92.9 The Game, Home Depot, Verizon Wireless, Peach State Health Plan, Anpuro Clothing Line, Our Errands, Xtreme Fun On Wheels Gaming Trucks, The Healthy Habits Chef & More. © 2019 The Resource Guild All Rights Reserved.